تقع Forte Leeuwin في قلب مارغريت ريفر وتقدم أماكن إقامة مستقلة مع شرفة خاصة أو فناء. يتوفر مسبح في الهواء الطلق وحوضين استحمام بالمياه الساخنة ومركز للياقة بدنية. تحتوي جميع الشقق على مرافق غسيل الملابس ومطبخ مجهز بالكامل مع غسالة صحون وميكروويف. تحتوي جميع الشقق على منطقة جلوس واسعة مع تلفزيون بقنوات الكابل ومشغل دي في دي ومشغل سي دي. يتوفر تكييف في الصالة وغرفة النوم الرئيسية، بينما تتوفر مراوح سقف في جميع الغرف الأخرى. تقع شقق Forte Leeuwin قبالة متنزه Gloucester وتبعد أقل من 15 دقيقة بالسيارة عن العديد من مصانع النبيذ في مارجريت ريفر. يقع شاطئ Prevelly على بعد 10 دقائق بالسيارة. يمكن للضيوف الاسترخاء في الساونا أو الاستمتاع بمساج مهدئ. يضم Forte Leeuwin Margaret River ملعب تنس وملعب للأطفال ويوفر مرافق للشواء. The apartment is well maintained. Looks as new as 10 years ago. Checking in/out is easy and fast. Staff is friendly. Location is excellent. The apartment is clean, tidy and comfortable. It's very suitable for group of 6 to stay in. good location but there is no air conditioning in the second and third room. This is Wonderful & Value Apartment, facilities good, bedroom very cleaning. the apartment feel very new. location just 5 minselfi away from town. parking was free. only problem is shower head was too low for washing hair. 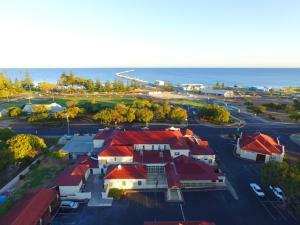 I had a good 3 days 2 nights stay at Forte Leeuwin. The apartment is well-equipped with cooking facilities so that you are able to cook dinner. The apartment is well maintained. It is a clean and neat apartment. Spaciousness. Lots of parking. Location to Margaret River town. 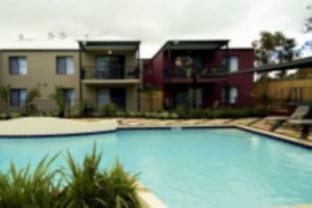 Semi-detached, double-storey apartment, great for up to 6 adults. Spacious living room and open kitchen on the ground floor, and 3 large bedrooms with 3 bathrooms on the second floor. Well-equipped and comes with parking lot right at the door step. Would come back to Forte Leeuwin again if I revisit Margaret River. Improvements are, the carpet could be better vacuumed and the locks for the main and back doors should be stronger. We loved the room & everything available, from the pool, tennis courts & play gym for kids. The beds were comfortable & rooms spacious. nice, clean and comfortable place. We were a family of 5 adults and totally loved this very clean, easy to access and well equipped apartment. It's a mere 8-10 min walk to Margaret River city centre and it's a great place to be based to explore the region. There are great wineries within a short drive away. I liked that everything worked and went well, hassle and problem free place and stay. Very pleasant, cosy and comfortable. Really liked it and highly recommend it to others. Clean accomodation, excellent location, spacious. Had a very wonderful stay at a clean and spacious environment which is very close to Margaret River CBD and a good gateway to the region. Staff was very helpful and readily available even though the reception closes at 4:30pm as they actually stay in one of the apartments. Fully equipped kitchen allows us to do our dinners since the shops generally closes early.